Suitable for both indoor and/or outdoor installations - the Rheem Heavy Duty electric range has been designed to be used whenever a large quantity of hot water is required. Rheem Equa-Flow. An Equa-Flow manifold system allows you to make multiple installations of up to eight Rheem water heaters on a single manifold. It's a modular system which lets you operate those eight heaters as though they were one. The cylinder is made from a special grade of steel, protected by two coats of a vitreous enamel, a larger, thicker anode and CFC free polyurethane foam insulation ensuring - heat losses are kept to a minimum. For high temperature applications such as sanitising, the Rheem Heavy Duty models have thermostats adjustable to 82°C. 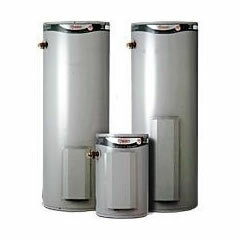 Rheem Heavy Duty Gas water heaters have been designed to be used whenever large quantities of hot water are required. The cylinder is protected by multiple anodes and a double layer of vitreous enamel provides long life protection. 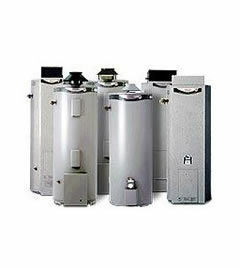 So, if you require a water heater which is flexible, efficient and economical to run, the Rheem Heavy Duty model is for you.